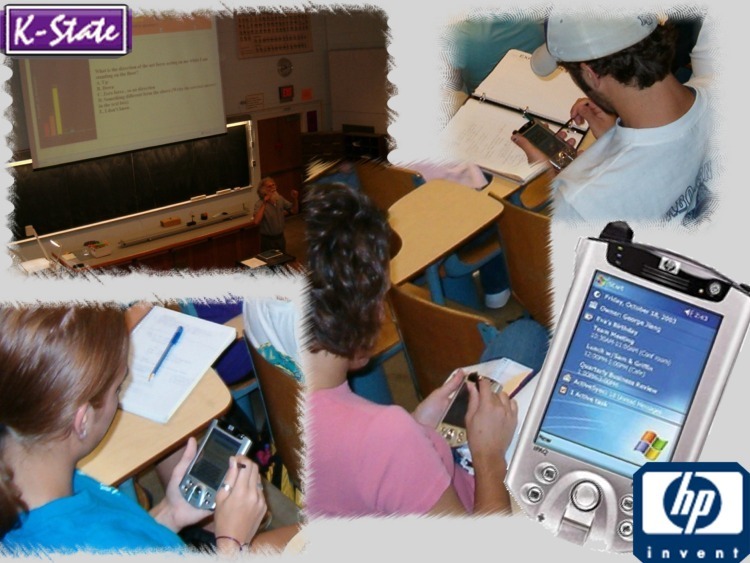 In 2004, Kansas State University received an HP Technology for Teaching grant that provided 40 HP IPAQs for use in our classrooms. We have used this technology to develop and deploy a wireless classroom interaction system in our lecture classes. We have developed Web-based software that facilitates student interaction with the instructor and each other. We believe that our system is ahead of other "clicker" based systems that are primarily limited to multiple-choice responses. Rather "K-State InClass" allows for a variety of questions including short answer questions (See Student User Guide here). It also allows for adaptive questioning and two-way communication that provides real-time feedback to the instructor. The system has facilitated greater interaction in our classrooms. We have demonstrated learning gains in our courses and a positive attitude toward this technology by students. Educational research (e.g. Sawyer, 2006) has converged on the conclusion that students learn best when they actively construct their own knowledge. However, the structure of most large-enrollment lecture classes discourages active engagement. When an instructor in a college lecture class asks questions, typically only a few students respond. Recently, many faculty have begun using "clickers" to pose multiple-choice questions. But these systems, though robust limit the nature of interaction and feedback to the instructor. Also, they do not replicate the kinds of open-ended questions that students have to answer on other course assessments. We believe that wireless mobile technology, such as HP IPAQs offers a better solution. Through appropriately designed Web-based software we have greatly expanded the question types and improved the richness of interaction. This solution allows us to create a real-time individualized, adaptive and classroom interactive learning system rather than merely a classroom response system. Before the changes implemented by this project the classes often used "clickers" to facilitate interaction during lectures. Since 2004 we have begun using wireless HP IPAQs to facilitate interaction. An excellent review of classroom interaction systems and underlying pedagogy is provided by Judson & Sawada (2002) and we found this review extremely helpful in redesigning the pedagogy for the course. Judson & Sawada point out that it was not merely the technology, but rather use of appropriate pedagogy that resulted in improved learning. Indeed, they warned that "an electronic response system does not come pre-packaged in an interactive learning environment." 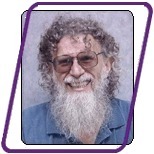 The overarching pedagogical principles that guided our approaches are elucidated by Hake (1998) who demonstrated that students in interactive learning environments performed on conceptual learning assessments than those in traditional instructional environments. In particular, we adapted Mazur's strategy of "Peer Instruction" (Crouch & Mazur, 2001) in our classroom. Students were asked a question over the system and asked to first respond individually. Next they were asked to discuss their responses with their neighbor and finally, they were asked to respond again. Mazur found that this technique greatly improves student performance on the assessment and fosters interactive and collaborative learning. Since 2004 we have begun using wireless HP IPAQs to facilitate interaction. In 2004 we used the "K-State Survey System" software as the interface for interactions. There were several inadequacies in this software, because it was designed to administer static surveys that once posted did not change. An interaction classroom system uses a fundamentally different paradigm in that it requires the instructor to pop questions at appropriate times in the lecture. 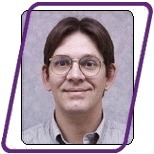 In 2005 we developed and implemented "K-State InClass" a Web-based interaction software that affords students and instructors a wide range of communication options (See Student User Guide here). Instructors are no longer limited to multiple-choice questions. Rather they can ask open-ended questions, ranking task questions and several others. They can also sequence questions adaptively so that students receive a question based on their answer to the preceding question. Most importantly, the communication is two-way: students too can post comments and questions to the instructor that pop-up on the instructor's screen during lecture. Overall, the technology provides for greater interaction and active learning by students. It also affords the instructor the opportunity to collect as well as respond to real-time feedback about the lecture from students and adapt her/his teaching to the students' needs in real-time whenever needed. Instructors have changed their teaching significantly since using PDAs. Interaction: We used to have a hard time getting students to speak up, we now use a PDA-based classroom interaction system as a catalyst for greater interaction. Real-Time Feedback: Our software "K-State InClass" allows the instructor to pop a question to students and monitor the answers to acquire immediate formative assessment on student learning. Real-World Connection: The PDAs allow students to connect online during lecture. This allows the instructor to choose realistic examples in class. Tracking Student Progress: “K-State InClass” collects data on how often students attend and how they participate. Our data shows student work in class correlates with course performance. Statistically significant improvement on course grades when using PDAs. T-test indicates higher grades at p<0.03 (one tailed) than previous year with identical course content, exam difficulty and instructor. Student final course grades correlated (R=0.38) with the use of the PDAs in the classroom, i.e. those who used PDAs in their learning in the classroom were more likely to do better in the course. The correlation is statistically significant at p<0.0005. Both of these results indicate that the PDAs when used in conjunction with interactive pedagogy improved student learning. My experience with hand-held computers in this class has made it more likely for me to use these or other similar technologies in my own teaching if I have the opportunity (65%). Before the Project : Most students were typically disengaged in learning the class. One Year Ago : Students more engaged with the use of interaction system, but frustrated with glitches in technology. Today : "K-State InClass" improves interaction and more completely harnesses the potential of the PDA. Further improvements in student learning and real-world connections. What compelling evidence are you collecting about your students? Performance on course assessments as well as interviews and surveys. How do you know if your course is effective? Improved scores on course assessments as well as evidence of transfer of learning to the real world and skills and attitudes about technology. What is the data telling you so far? Data indicates that we are making significant progress toward these goals so far. "I think that it is a creative way to get feedback from students." "I love using these hand-held computers. I really like how it provides feedback directly to the teacher. I plan on getting one of these, for my own personal use." "They are really easy to use and with the questions and response method it is easy to participate in class. It seems to really show the weak areas of the class to the professor." "The best thing about the hand-held computers is that they provide useful feedback to the instructor about whether or not we understand." "The hand-held computers are helpful for the teacher to see how much the students know. But in a way, I think they take more time because there always seems to be problems with them." 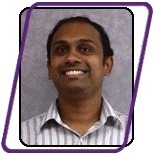 Rebello, N. S. (2005) "Evolving Classroom Response Systems at K-State: From ‘Classtalk’ To ‘Clickers’ To Wi-Fi enabled PDAs," Invited talk at the KSU Technology Showcase, November 2005. Zollman, D. A. and Rebello, N. S. (2005) “A Wireless Pocket PC Based Classroom Response System,” Paper presented at the European Physics Education Conference, June 2005. "Professor Examines Practical Ways to Use PDAs in Classroom," Newswise, Article in on March 1, 2005. Zollman, D. A. and Rebello, N. S. (2005) "The evolving classroom response system at Kansas State University: Classtalk, PRS, & PDAs," Contributed Talk, 2005 Winter Meeting of the American Association of Physics Teachers, Albuquerque, NM, January 2005. Rebello, N. S. (2004) "Progress Overview & Results Report: Using HP handheld computers in our classrooms" Contributed Poster, 2004 HP Technology for Teaching Conference, Monterrey, CA, November 2004. Crouch, C. H. and Mazur, E. (2001) “Peer instruction: ten Years of experience and results,” American Journal of Physics, 69 (9), 970-977. Hake, R. (1998). "Interactive engagement versus traditional methods: A six thousand student survey of mechanics test data for introductory physics courses." American Journal of Physics, 66 (1), 64-74. Judson, E. and Sawada, D. (2002) “Learning from past and present: electronic response systems in college lecture halls,” Journal of Computers in Mathematics and Science Teaching, 21 (2). Sawyer, R. K. (2006). The Cambridge Handbook of The Learning Sciences. New York, NY: Cambridge University Press. This project supported in part by an HP Technology for Teaching grant. developed at the Knowledge Media Lab of The Carnegie Foundation for the Advancement of Teaching.